With the success of OPM-inspired musicals such as Rak of Aegis and Sa Wakas, people had only this to say when they found out that an APO-inspired musical was coming out: It’s about time! Eto na! Musikal nAPO! features the music of the APO Hiking Society, an iconic Filipino musical group which was often referred to as “The Beatles of the Philippines”. 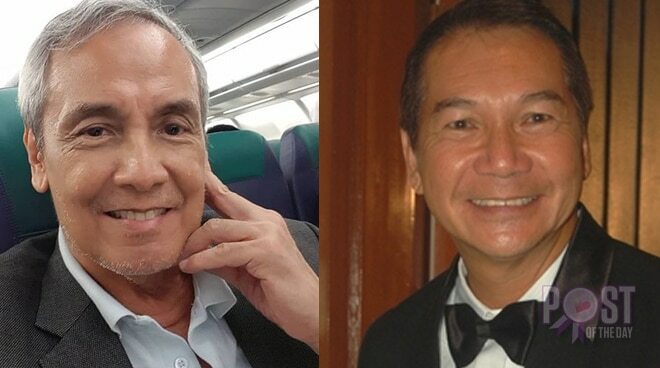 The trio of Jim Paredes, Danny Javier, and Boboy Garovillo released 27 albums during their careers. So timeless was their music that two tribute albums were released, with their songs performed by local artists who look up to them as pillars of OPM history. Joining the guests for the musical’s preview night were Jim Paredes and Boboy Garovillo. What were their sentiments after witnessing their music and their story reimagined in another genre for another generation? “The APO, when we used to do concerts, isa lang ang aming joy: when people get out in the lobby with smiling faces and talking about what was their favorite part,” Boboy shared. Seeing that longed-for reaction in the audience at the end of the show is testament to a job well done. “I want them to feel that the soundtrack of their life was sung,” said Jim. “Especially for the older ones. They got all the references to the ’70s jokes – EDSA, Highway 54, Love Bus – lahat, nakuha nilang lahat. Stuff like that, it was a spark. Ang lakas ng reaksyon. I want them to feel good. Eto Na! Musical nAPO! will run from August 3 to 26 at the Maybank Performing Arts Center in BGC, Taguig.